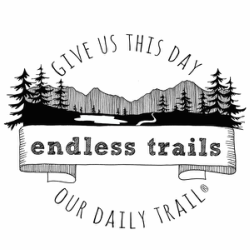 Thank you for supporting Endless Trails! We appreciate you and your support; without your support, we wouldn't be able to continue with our work. Your transaction has been completed, and a receipt for your donation has been emailed to you. You may also log into your account at www.paypal.com/us to view details of your transaction. Again: Thank you, thank you, thank you! Hope to see you on the trails soon!